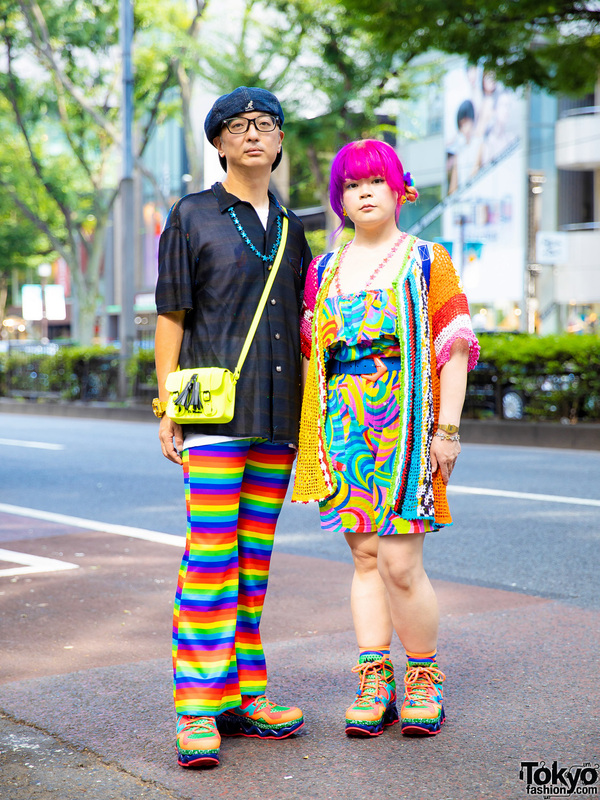 Japanese couple wearing colorful outfits in Harajuku. 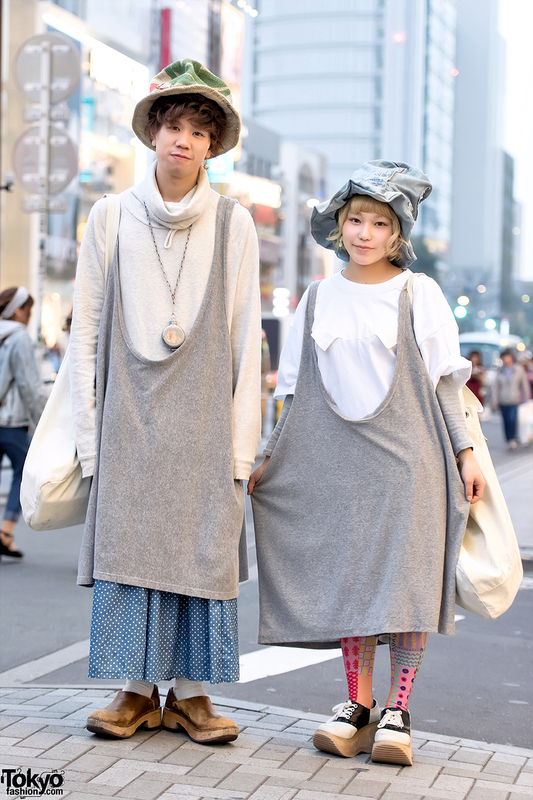 Harajuku guy wearing layered fashion from San to Nibun No Ichi with a Kinji bag and Vivienne Westwood necklace vs Harajuku girl in San to Nibun No Ichi top, denim hat, and HuG platform shoes. 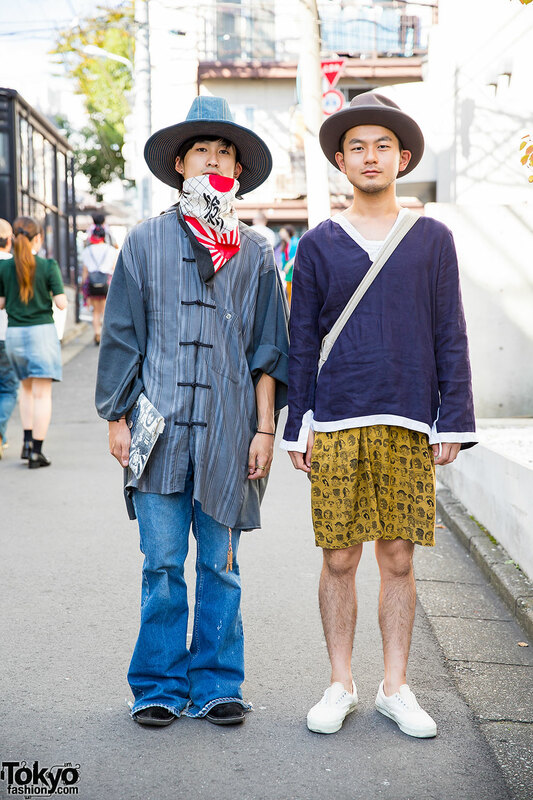 Harajuku guy in hat, shorts, cross over bag and sneakers vs. guy in hat, shirt, flare jeans, bandana and clutch.